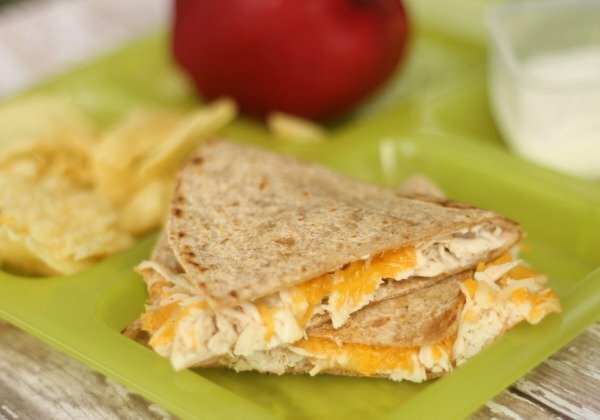 We make these Cheesy Ranch Chicken Quesadillas for dinner often but they also do double duty as a perfect lunchbox filler- for kids or grownups. I make a double batch about once a month and freeze what we do not eat in individual portions in freezer bags. Use your favorite cheese, and prepare the chicken however you like but I am sharing my favorite way to make it when cooking in big batches. Make back to school a snap this year by making last nights dinner tomorrows lunch. We love easy meals, and while you can make these cheesy ranch chicken enchiladas right before eating, I love how easy they are to make in larger batches and save for later. 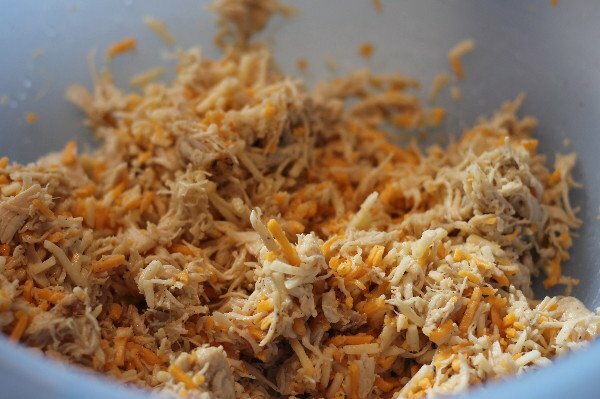 Chicken shredded in the stand mixer is great for quesadillas, nachos, salads and casseroles. When I buy Zaycon antibiotic free chicken on sale for $1.69 a pound, I often cook large batches of chicken as described below to shred and store in freezer for quick additions to pasta and tortillas for easy meals. Season chicken breasts with pepper and garlic salt. Place on grill, and cook 7-10 minutes on each side depending on size of breasts. You can also bake in the oven at 350 for 20 minutes or until cooked through. Move hot chicken immediately to the bowl of your stand mixer, using the beater attachment mix chicken on med-high until shredded. Add 1 packet dry ranch seasoning and mix just to combine. Drizzle olive oil into a non stick pan and heat to medium. 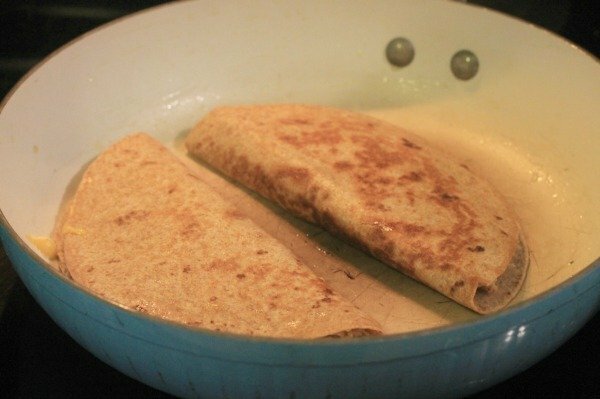 Place tortilla in pan, fill half with chicken mixture, fold over. Cook for 2-3 minutes, flip and cook an additional 1-2 minutes until cheese is melted. You may prep and chop your chicken a different way but this is super fast and efficient. 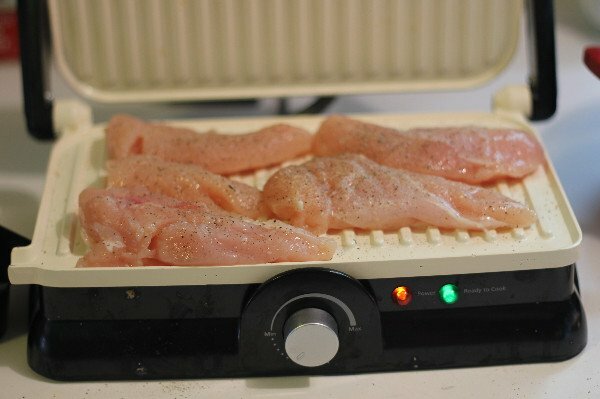 Place on grill, I use this panini press grill HERE for mine. You can also bake in the oven at 350 for 20 minutes or until cooked through. Move hot chicken immediately to the bowl of your stand mixer, using the beater attachment mix chicken on med-high until shredded. This method is excellent for prepping cooked chicken for chicken salad, tacos, casseroles, and more. Allow chicken to cool, mix in shredded cheese by hand. I transferred mine to another bowl and popped it in the fridge for 10 minutes. 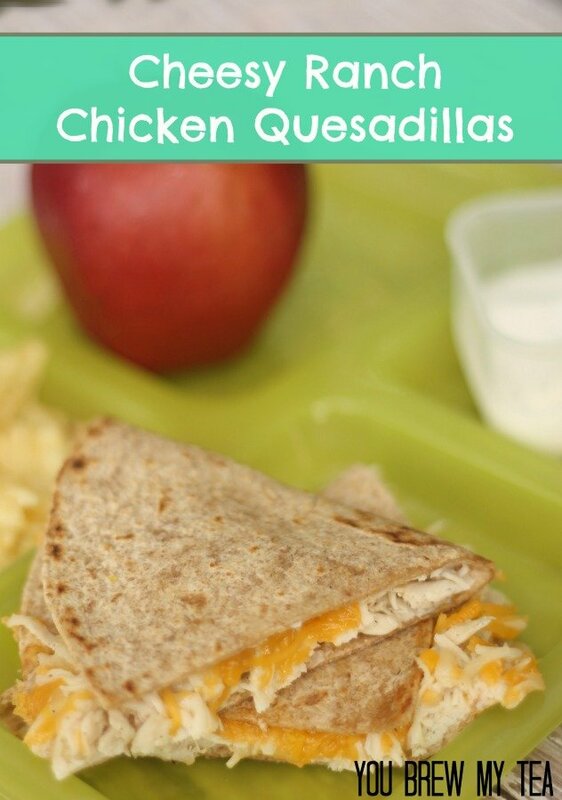 These cheesy ranch chicken quesadillas are a perfect lunch for your kids, or a great easy meal to go along with a large salad for the whole family. We also like to add grilled onions, peppers, tomatoes and even baby spinach to make hem heartier and full of nutrients. Go a bit lighter on the cheese to cut calories, or even put them in the oven to toast instead of cooking in oil. Quesadillas are a great choice that can be made healthy and delicious for everyone in your family. Check out out our other favorite kid friendly recipes! This sounds like a fantastic recipe that can easily be changed up as the mood suits. I think I’d like them plain, with greens, with onions, with mushrooms……all sorts of ways. And so quick and easy to make, my favorite kind of cooking lol. I love stuff that is versatile like this!! I love your way of shredding chicken! I’d never thought of that before, but it would be so much easier. I found your post through The Wednesday Round-up. I love how the mixer makes it easy to shred!! Great for when you have a lot. Thanks for stopping by! Wonderful! A family favorite of ours. Pinning your recipe to try. Thank you for sharing your recipe with us at Brag About It! Your newest follower from Super Saturday! I would love for you to share at this weeks parties Sunday through Thursday! Have a terrific week! 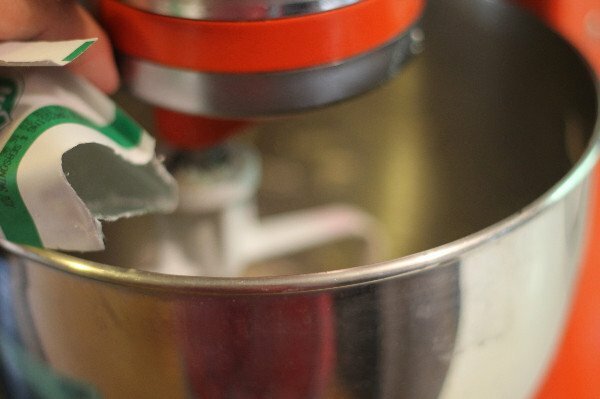 These look so tasty, and I love your trick with the mixer. I’d heard of it before, but never thought it could actually work. Thanks for sharing your recipe! We love that trick! Thanks for stopping by! These would make perfect lunches for my boys.. they love cheese and they love ranch! Thanks so much for sharing with us at Dream. Create. Inspire. I hope you join us again tomorrow night! 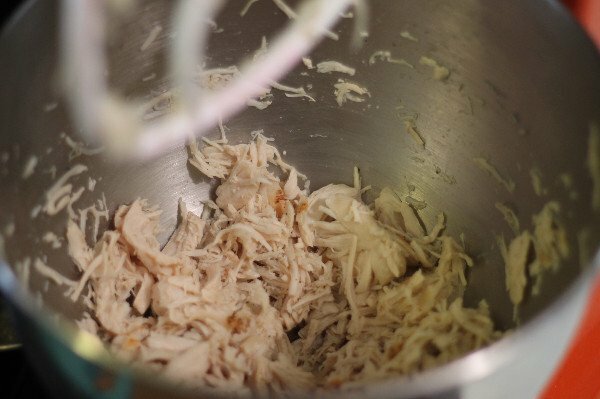 I didn’t realized you could shred chicken with a mixer…sounds like a good reason for me to invest in one! 🙂 Thanks for sharing at Welcome Home Wednesdays!